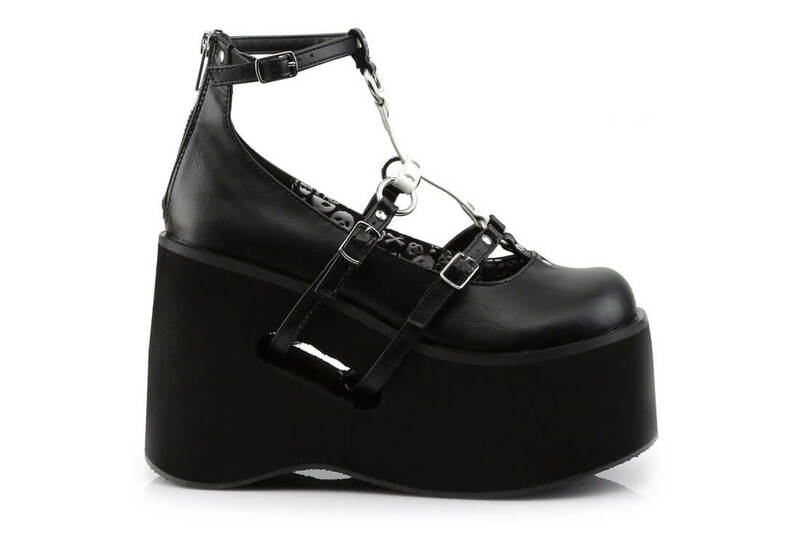 Super cute 4 1/2 inch platform shoes. The Kera-09 is a T-strap Mary Jane that has three buckle straps attached to a white upside down cross held in place with O-rings on the front of the foot. The feet straps run through a cutout in the platform.